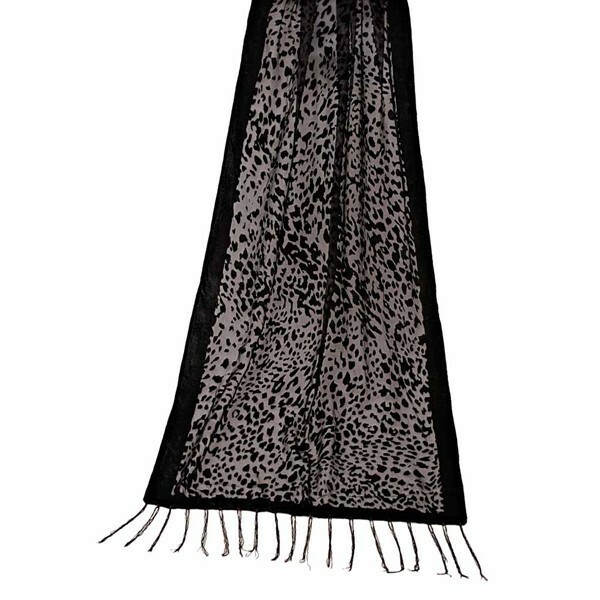 Ladies luxury leopard print devore scarf with fringe detailing. Made from 65% viscose and 35% nylon. Comes in packs of 12 in black.